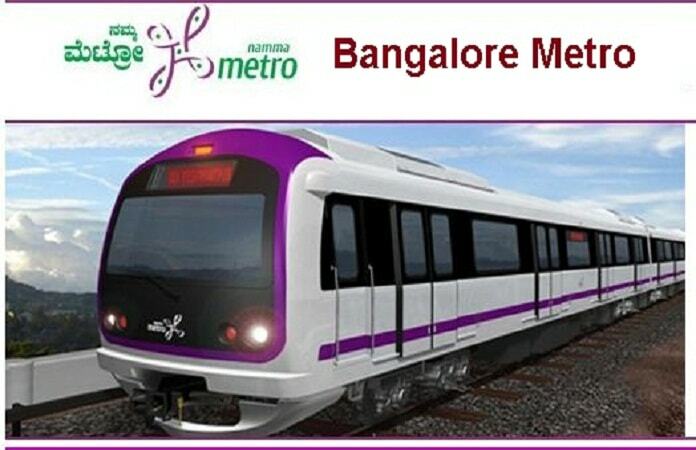 Bengaluru,Metro Rail News: Bangalore Metro Rail Corporation Limited, a Joint Venture of Government of India and Government of Karnataka, is a Special Purpose Vehicle (SPV) entrusted with the responsibility of implementing the Metro Rail Project in the city of Bangalore. BMRCL invites applications from qualified and experienced personnel for appointment to Engineering positions in the Project Wing. All appointments proposed will be on “contract basis” only. BE/B.Tech. in Civil Engineering with a minimum of 12 years of work experience in large infrastructure project execution. Candidates with experience in Metro construction for Viaduct / Stations / Underground station / Tunneling with TBMs will be preferred. BE/B.Tech. in Civil Engineering with a minimum of 8 years of work experience in large infrastructure project execution. Candidates with experience in Metro construction for Viaduct / Stations / Underground station / Tunneling with TBMs will be preferred. BE/B.Tech. in Civil Engineering with a minimum of 5 years of work experience in large infrastructure project execution. Candidates with experience in Metro construction for Viaduct / Stations / Underground station / Tunneling with TBMs will be preferred. Candidates with Diploma Engineering qualification should have a minimum of 8 years of work experience in the respective field. BE/B.Tech. in Civil Engineering with a minimum of 3 years of work experience in large infrastructure project execution. Candidates with experience in Metro construction for Viaduct / Stations / Underground station / Tunneling with TBMs will be preferred. Candidates with Diploma Engineering qualification should have a minimum of 6 years of work experience in the respective field. Candidates should fill in the application online, take a print out of the same and submit along with copies of all certificates in support of qualification and experience prescribed for the post. Candidates who fail to send a hard copy of the online application along with relevant documents will not be considered even though they have submitted the application online. Shortlisted candidates shall be called for a personal interview. Last date for receipt of hard copy of the application is 08.04.2019 up to 4.00 pm.